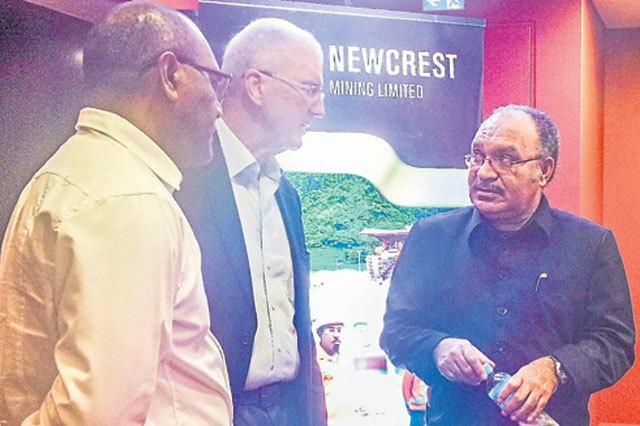 NEWCREST Mining has invested more than K70 million in 14 projects under the tax credit scheme since 2012, chairman Pater Hay says. He said some of the projects had been completed while others were still underway. “Lihir participates in the National Government’s tax credit scheme where we fund and project manage agreed infrastructure projects across New Ireland out of a proportion of company tax we would otherwise pay to the Government,” he said. Hay made the statement during a function in Port Moresby last Thursday. “Two more projects totalling K28m have been approved and are due for completion by 2018,” he said. Hay highlighted the working relationship the company has with communities on Lihir. “But it matters little if the local communities around our operations don’t want us there. That is why we work very hard to develop and maintain positive relationships with, and invest in, those communities,” he said. “The entire Lihir management team have been working very closely with the Lihir mining area landowners association and other local community groups in the lead up to the next review of the Lihir memorandum of agreement and the integrated benefits package.